When Doug and I became a couple during college, our very first group purchase was a spatula. We were heading out on a camping trip and realized we would have no way to flip the pancakes we were making for breakfast the next day. We stopped at a grocery store en route to the park and pooled our funds to acquire the best turner that $1.99 could buy. Our next group purchase was a bit more substantial — a slightly beat-up 1985 Toyota 4×4 truck. The lakes of northern Wisconsin, wilderness of Michigan’s Upper Peninsula, and craggy climbing areas outside of Madison were calling us, yet we had no reliable way of getting there. The truck became our key to adventure. Every weekend we would load it up and head out to the wilds. 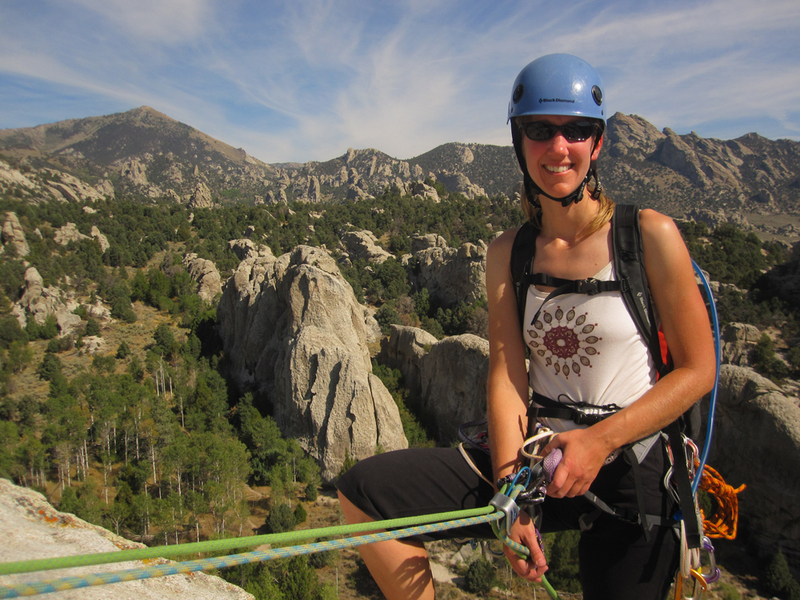 During a couple of college summers we hit the open road of the western United States for months on end — living out of the back of the pickup and stopping at every climbing area we could find along the way. Those weeks of roaming freely and opening the map each day to decide where we wanted to go next provided some of our most beloved memories together. 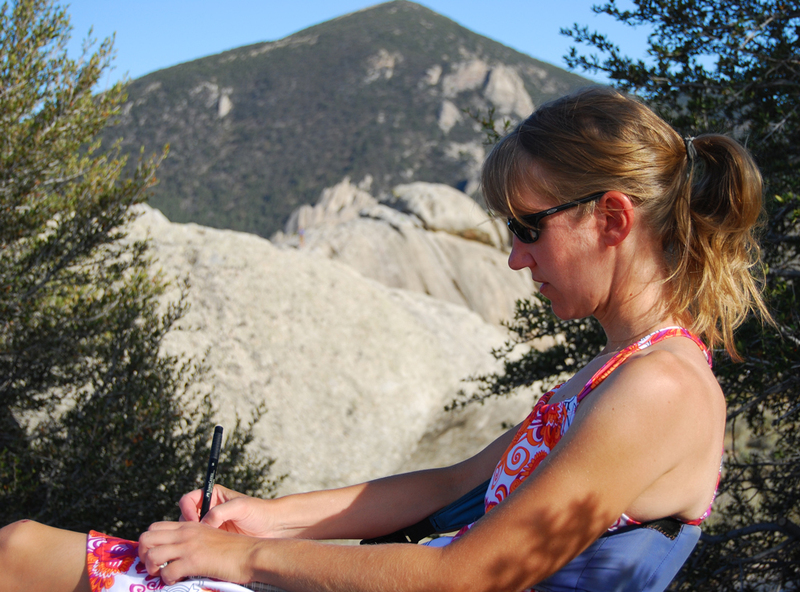 One of the things I longed to do most after surgery was to go on a climbing road trip again. 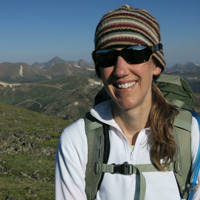 I wanted to remember what it felt like to climb all day, cook up dinner at camp, talk about the day’s adventures over a crackling campfire, and then get up to do it all again the next day. Last summer, I wasn’t quite strong enough to rock climb. After training and gaining strength over the winter, my body finally felt ready to spend day after day doing climbing routes. In the beginning of September, Doug and I set out on a 17-day adventure that would include a week of climbing at City of Rocks in Idaho and several days of climbing at Smith Rock in Oregon. While in the Northwest, we also planned to spend time with some good friends who lived in Bend, as well as meet up with my parents for some sightseeing. There is now something called the internet. In our college days, I carried a small leather address book and actually wrote to my friends on paper while on the road. Our trip food budget expanded to include things other than rice and ramen noodles. Though we still cooked most of our meals on this vacation, it was nice to have enough funds to enjoy the food and drink at some of Bend, Oregon’s great brewpubs with our friends. We looked at some of the climbs we did at these areas in our early 20s and wondered how we had the nerve to get up them. Our truck has been replaced by a tiny, fuel-efficient Toyota sedan. It is amazing how much camping and climbing gear we squeezed into that little rig. However, we did bottom out on some three-inch-tall rocks on Idaho’s back roads. I now had an ostomy. 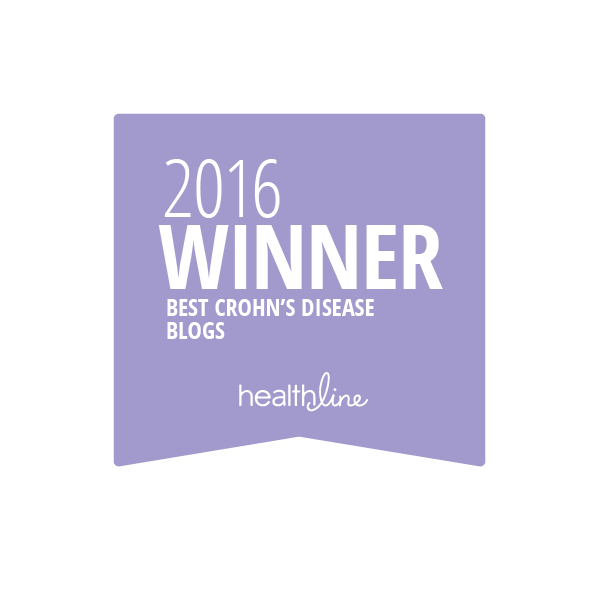 It was easy to forget about this last big change because things felt so much like they had in the past before I had gotten sick with UC and before I had surgery. I was just out there having fun and my stoma did not diminish the joy of a road trip one bit. 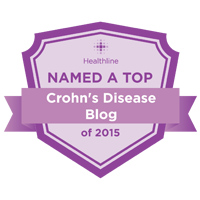 Other than changing or emptying my appliance, or having to drink extra water to prevent myself from getting dehydrated, I hardly thought about my ostomy at all. It proved to be no trouble during long days on the road, while living in camp or while climbing long routes. We shot a lot of footage on our road trip and will be putting together a video about the adventure soon. Until then, the following photos share some of the great times Doug and I had on the trip. Climbing Theater of Shadows on Jackson’s Thumb at City of Rocks. 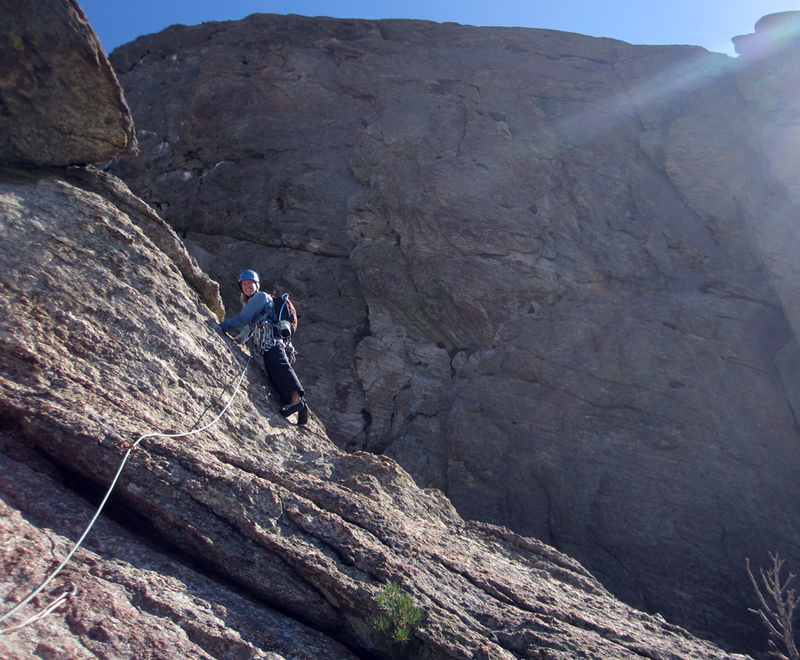 This was my very first lead climb after surgery. Rappelling off of a route at City of Rocks in Idaho. 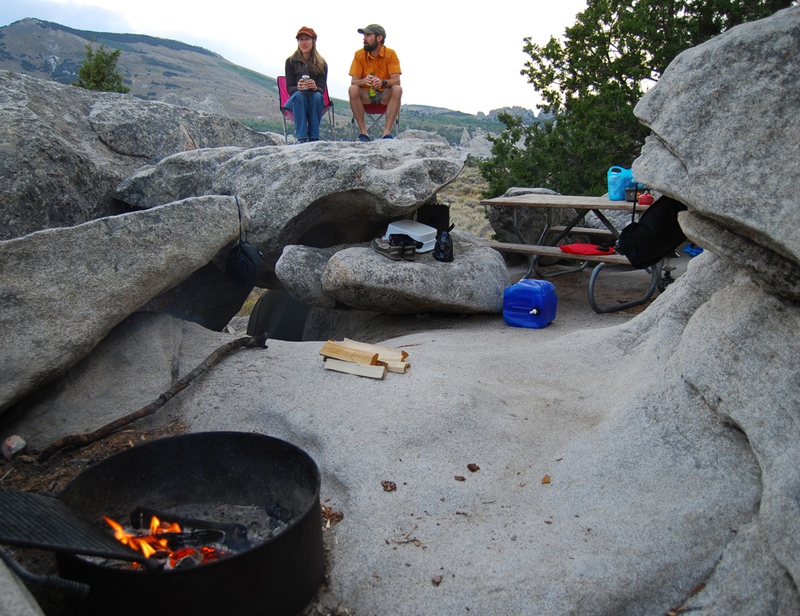 Our very cool campsite at City of Rocks. 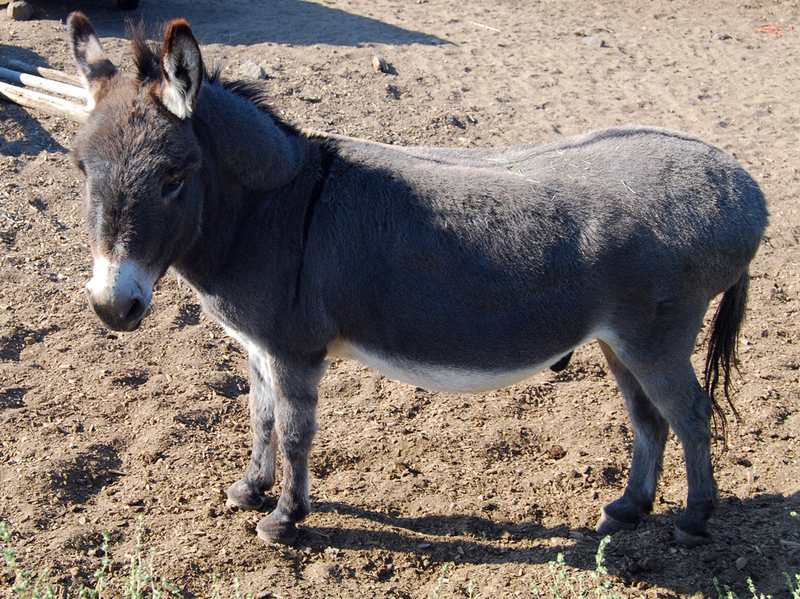 I love donkeys. We encountered this cutie while walking near our friends’ house in Bend, OR. 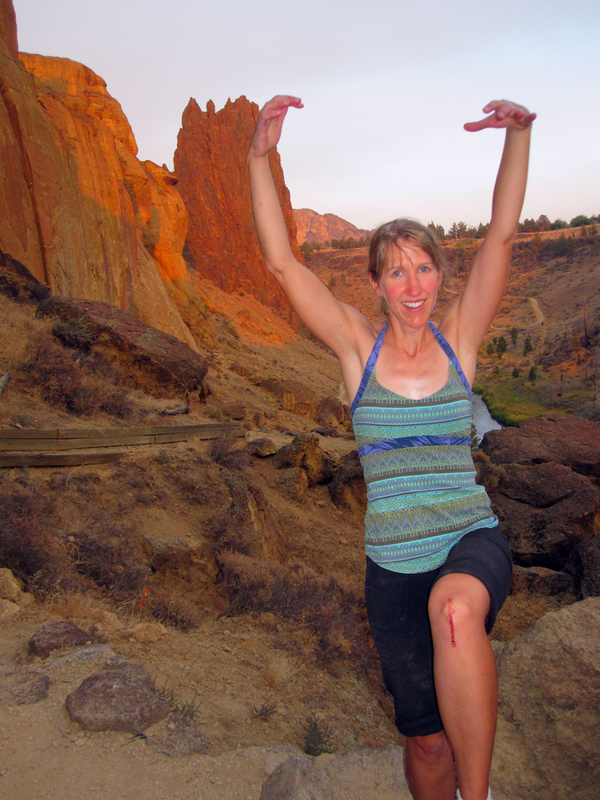 Showing off a fresh wound after a full day of climbing at Smith Rock, OR. Enjoying the McMenamins salt-water soaking pool in Bend, OR. 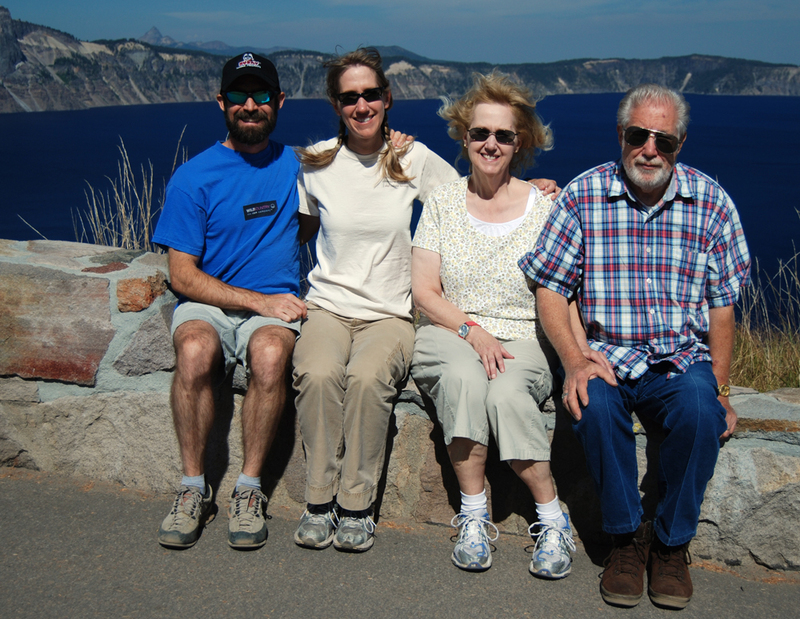 Spending time with my parents at Crater Lake. 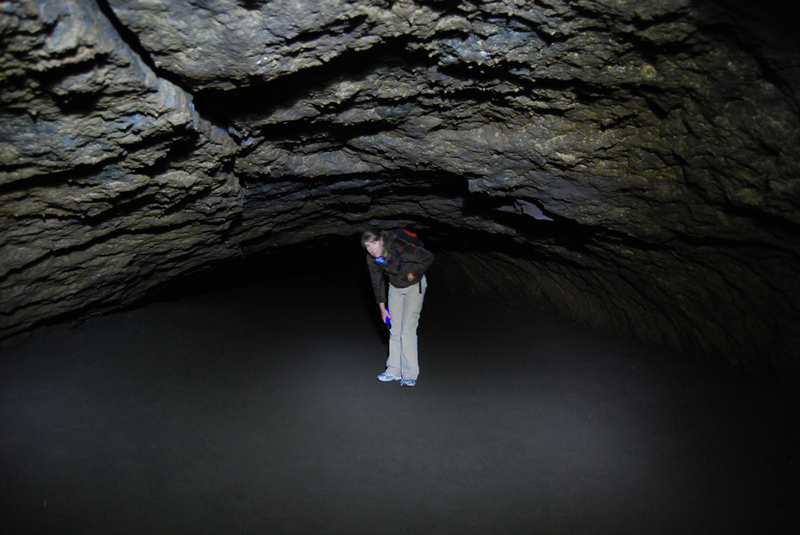 Exploring the mile-long Lava River Cave near Bend, OR. No road trip is complete without at least one stop at a giant roadside sculpture. 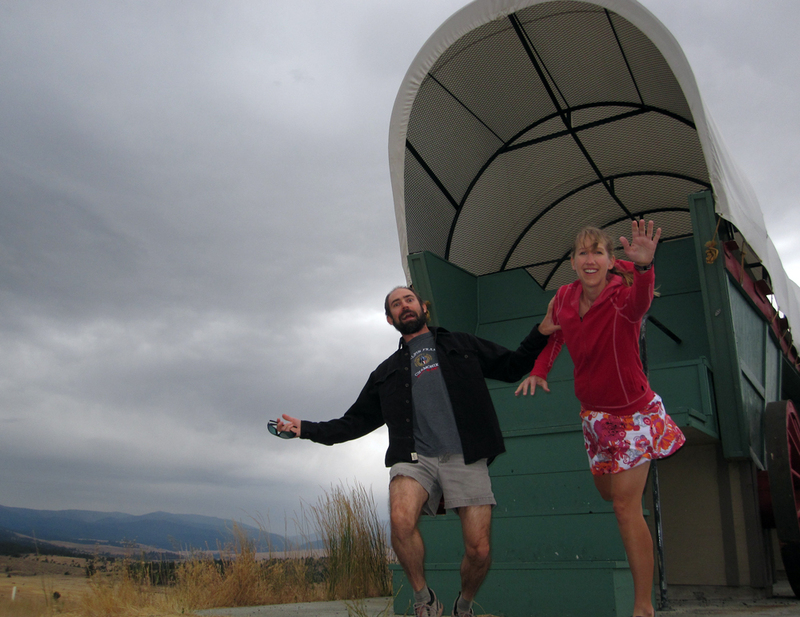 Doug and I getting silly during a major windstorm at the huge Conestoga wagon near John Day, OR.